Hi Marco, we’re happy to have you with us on AltroVerso Italy ahead of your MATERIA Halloween party later this month in Milan. 2016 as well has been very busy with some great shows and releases for you, which are the two ones that pleased you the most? Playing in South America for sure, especially in Argentina. Argentina at the moment is really such an amazing place for me, the best crowds, venues and it feels like a second home. I really love being there so much. Also not to forget our MATERIA party in Belgium back in February, was so awesome! Last summers season will be remembered also for your concept party MATERIA, which had it residency at Vista Club at Privilege. Why did you take this decision to have your own party and at this venue? How was this experience? I loved having my own residency this summer, it was a first for me and although its not the easiest to start your own branded party we think the summer went really well and we have been so happy with the feedback from media, fans and artists who played with us. . I have been doing this for 26 years now and whilst MATERIA might be still far away from the top, I can look at everyone be happy knowing that having my own night is more important to me than playing another party or brand at this point of my career. Overall we can look back at the summer and say that yes it was a successful season! We did the party for the first time this year, and we had 11 nights throughout the summer in total. It’s not easy to create a new music night in Ibiza, especially at a difficult venue, but I think it did very well and it kept rolling! On the 31st October your concept MATERIA will land also to Milan with yours and other guests’ performances. Tell us about your musical story, your path and how you approached to the music. I started all the way back in 1988! That’s a very long time ago. Back in those days I played music like Bowie, The Police, Sting and Dave Ball etc. Later I then moved onto house and then into techno even more years after that. It was a steady progression of genres to where I am today. Techno gives me the right energy, the kind of energy to dance and feel happy inside my soul and body! The artists I invite to play at MATERIA are people who have the same passion, energy and drive for the love of techno. Techno is a musical language which was born from almost 3 decades and has never stopped delivering new emotions, but there is someone that states that it has been going through a period of crisis. In your opinion, is a good moment for techno? In my opinion, there will always be a period when there is a fad about a particular artists, genre, label, or party, but this always changes and doesn’t last forever. I do not think there has ever been a crisis for techno or this industry. It’s timeless, and has been going for so many years without any sign of stopping. Proof of this are tracks by Carl Craig, Jeff Mills and Derick May – made 20 years ago but still apply now, and are popular as ever. Which discographic works are you planning to release? Do you have something exclusive you could reveal to us? Is there a record production that you dream to create in a particular way? Yes, we have a few projects on the go right now. 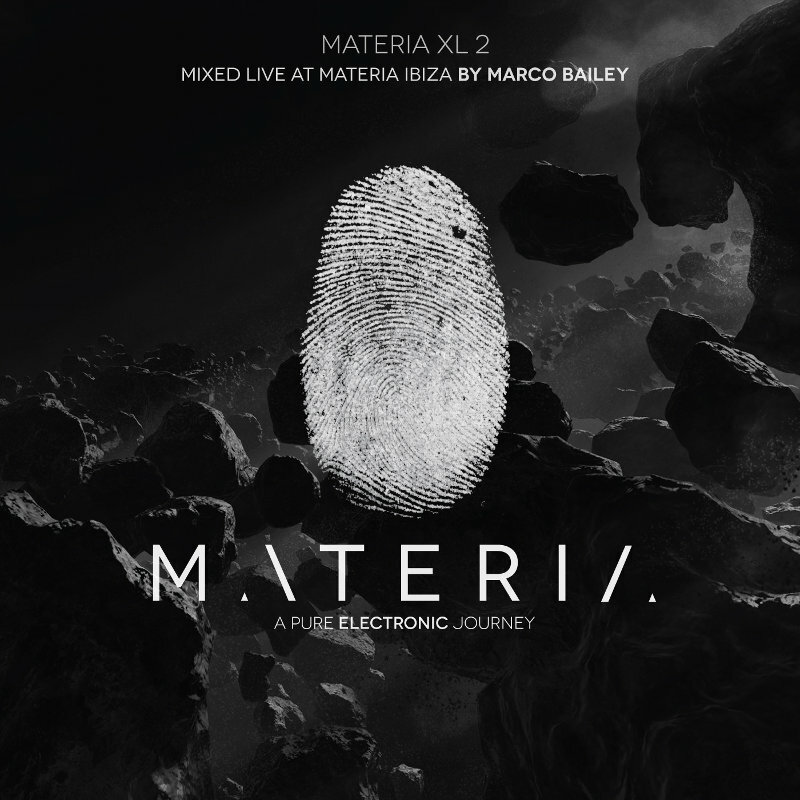 The official MATERIA Mix Compilation which was recorded live in Ibiza is coming out on the 14th October, where I selected 21 tracks which have lead the parties throughout the season. I also have a new EP out on my MBR Limited imprint at the end of the month too, both available on vinyl and digital release. It has 3 great reworks by Parisian “concrete star” SHLOMO and Markus Suckut. And finally, what would you like to recommend to the future DJ’s and producers? Don’t start making music to just be No.1 and make money. Ask yourself, do you really like what you produce? Make sure you are doing it for yourself and nobody else! If you stick to this, you will achieve good things. It takes time and patience. Should there come a time when everything are white labels, it would be surprising what some people play and like.